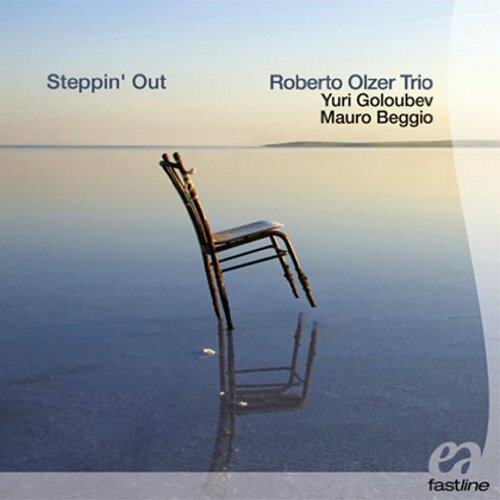 I first heard the Roberto Olzer Trio play the Sting cover Every Little Thing She Does is Magic and bought the album on the whim that any trio containing bass player Yuri Goloubev was worth listening to. My hunch was justified. This is a lovely album of jewelled lyricism by Italian pianist Roberto Olzer. The jaunty Sting cover is not typical of the album, it is memorable but then so are the other nine tracks. Roberto studied the organ and I think this shows in the delicate layers of sound that hang around like the echo of an organ in the fan vaulting of a cathedral, you look up and feel wonder. The album is very visual, each track seems to tell a story, from the unsteady Madman of the opening, to FF (Fast Forward) which seems to want to trip up each musician. Especially beautiful is tragic Gloomy Sunday where the bass is intent on wallowing in misery. The sound swells and falls, like good ideas dismissed out of pessimism. You almost need to listen to each track on its own, they are exquisite short stories you want to savour. It was recorded and mixed by Stefano Armerio in June 2012 (he also recorded Maciek Pysz’s Insight). Deserves a wider audience, especially in the UK.